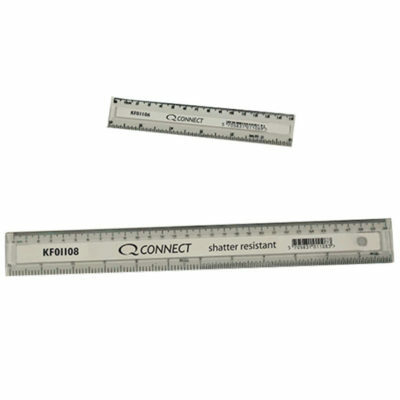 Q-Connect clear rulers with inches and centimetres. 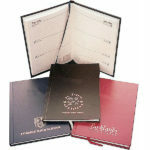 Available in 30cm and 15cm ruled lengths. 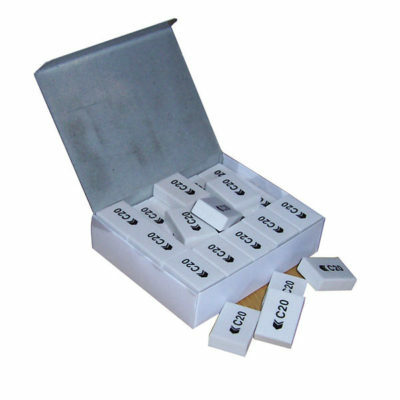 Small, high quality c20 erasers in class packs of 45. 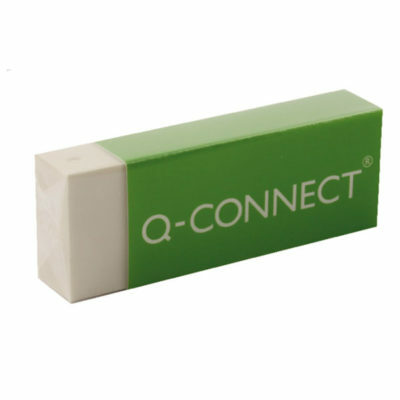 Q-connect lightweight washable eraser with a soft, absorbent surface to make whiteboard cleaning easy. 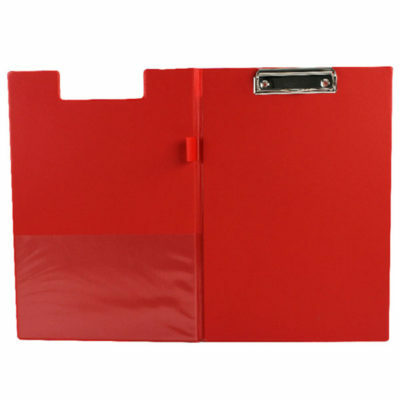 Coloured, A4, PVC clipboards with heavy duty clip and pen holder. 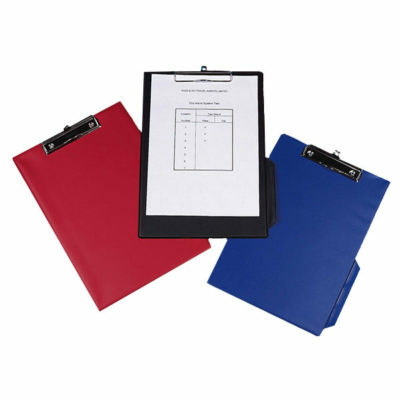 A4, PVC foldover clipboards with a cover and inside pocket. Complete with heavy duty clip and pen holder. 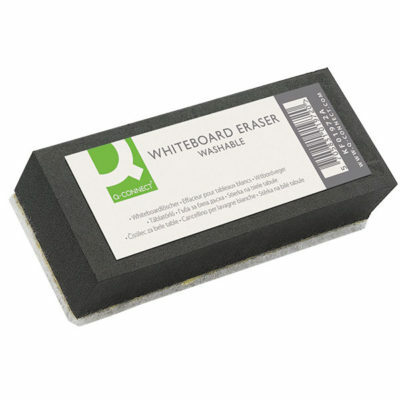 Mini drywipe board erasers ideal for small hands for use on show-me boards. 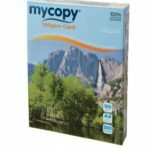 Wipes away drywipe ink quickly and easily. Helix geometry classpack. 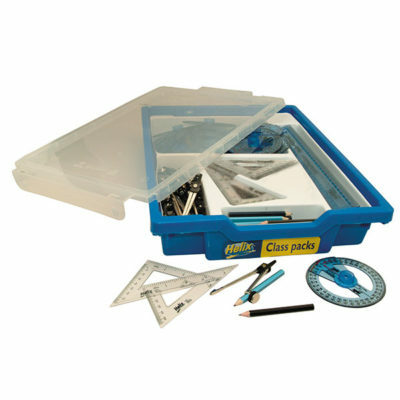 Tray includes: 30 x compasses, 3.5″ pencils, 30cm rulers, angle measures and 40 & 60 degree set squares. 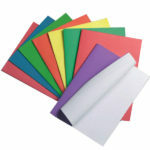 Ideal for maths lessons. 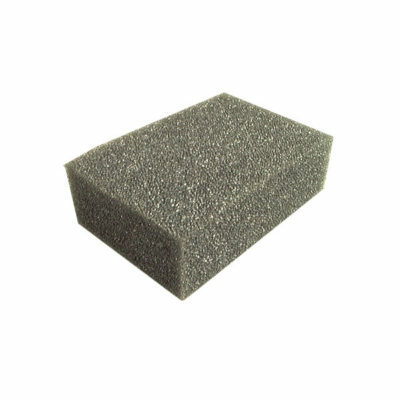 Large, high quality erasers in individual paper sleeves. 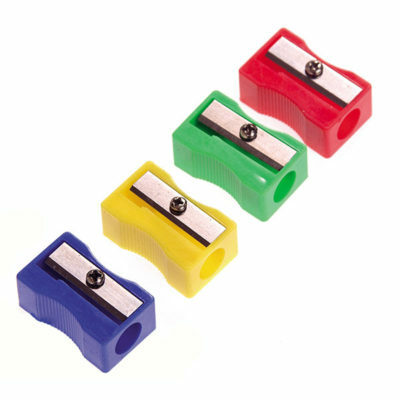 Plastic wedge single hole pencil sharpener, available in assorted colours. 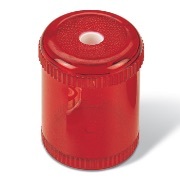 Clear, plastic barrel pencil sharpener with single hole, ideal for regular use. 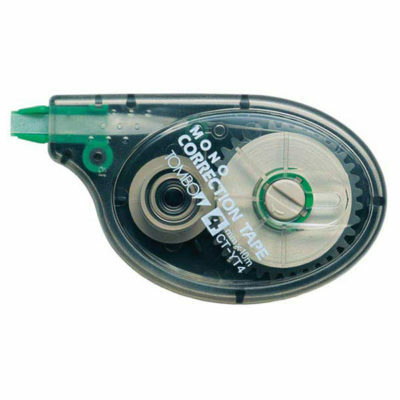 This tombow mono correction roller produces neither edges nor shadows. Its unique reverse button tightens the tape. 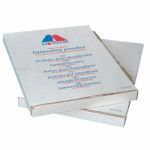 The tape is 4mm wide and 10m in length. 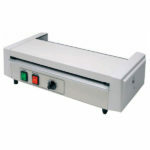 This correction roller produces a clean, quick and precise correction. 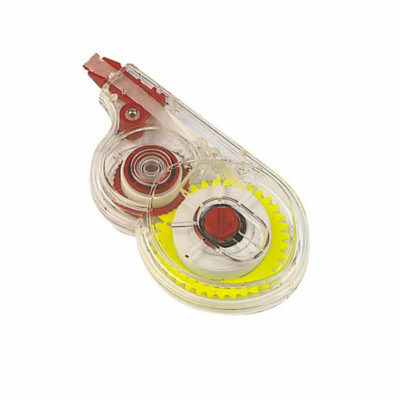 The correction tape is 5mm wide and 8m in length.